BEVERLY, Mass., May. 15, 2017 – FantasyLabs, a platform of proprietary daily fantasy sports (DFS) data, tools, and analytics, announced the acquisition of The Fantasy Fanatics LLC., a suite of data-driven tools for daily fantasy sports players. Founded in 2015, The Fantasty Fanatics offers innovative tools for DFS players, including unique ownership analysis for DraftKings and FanDuel contests. The Fantasy Fanatics’ offerings will be added to the current FantasyLabs platform. 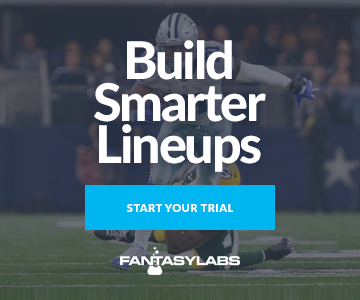 Along with the acquisition the The Fantasy Fanatics LLC., FantasyLabs also announced that Ryan Patsko, the founder of The Fantasy Fanatics, will be joining FantasyLabs as a full-time employee. “Since their launch, I’ve considered FantasyLabs the gold standard for DFS tools and data. I’m thrilled to have the opportunity to integrate components of Fanatics into the site and join their stellar team,” said Mr. Patsko. More details about the acquisition and plans for integrations will be announced in the near future.